Myra Schneider’s tenth collection, Lifting The Sky, explores the theme of survival in many contexts: from the perils facing refugees and survivors of war to the detailed and tender mating ritual of endangered seahorses. Threats to the environment are balanced by the preservation of delicate objects in ancient burial sites such as Sutton Hoo which is also a meditation about death. The final narrative sequence ‘Edge’ is a tour de force, presenting a diary of artistic and emotional breakdown due to depression followed by healing and restored creativity. Myra Schneider reads Lifting the Sky at the book launch in the Poetry Society’s Poetry Cafe, London, November 2018. Myra Schneider reads Seahorses at the book launch in the Poetry Society’s Poetry Cafe, London, November 2018. 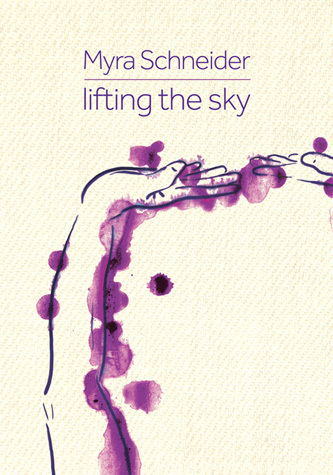 Lifting the Sky: an exercise in qigong the Chinese practice of breathing, movement and meditation.